Today is September 11th, the day we celebrate Founder's Day. I'd like to share with you a story known to only a rare few. It all started with my husband's magnanimous father, the late Archbishop Benson Idahosa. Throughout his life, Papa (as he is fondly referred to) had dedicated his life to evangelism and making the name of Jesus known all over Nigeria, Africa and the world at large. By many, he is referred to as the "Father of Pentecostalism in Africa." 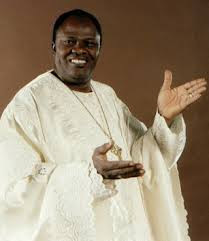 He pioneered the All Nations for Christ Bible institute in 1968, the great church conglomerate Church of God Mission International, Christian Faith University (now renamed Benson Idahosa University), the Word of Faith Group of schools, Faith Mediplex Hospital and so many other strong organisations that are still standing and flourishing today. In addition to his many achievements, he was an avid reader and always devoted to developing himself in the Word of God. He took extra initiative to share the gospel with everyone he met through whatever means possible. During his lifetime, he made a major impact in media and was the first preacher to broadcast the gospel on Nigerian television; which brings me to the story of how I met the Idahosas. Papa was a man who valued people and relationships. Every person who crossed his path felt so important. 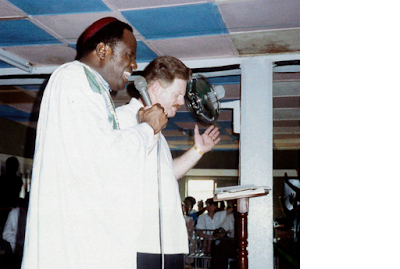 He especially had an affinity for missionaries coming to Nigeria and hosted hundreds, if not thousands during his lifetime. 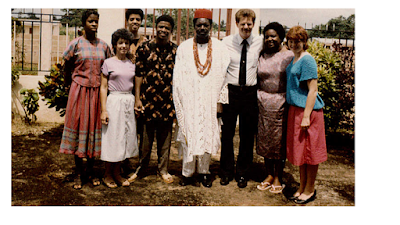 There was one very special missionary family that lived in Benin City, Ron and Jerry Childs. They organised the Bible School, church office and Mass Crusades. They are American by origin and would occasionally travel to the US with him for special events and programs. 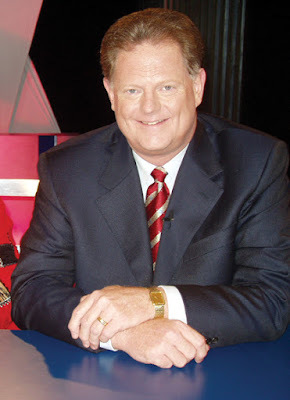 That relationship led to what I feel was the greatest meeting of all time; the day that Archbishop Benson Idahosa met Dr. Gary Whetstone (my father). Both Papa and my Dad were in Washington, D.C. at the NRB Convention - National Religious Broadcasters. Dad came by Idahosa's table with his Youth Pastor and said he wanted to meet with Bishop Benson Idahosa. He talked to Mrs. Childs and she suggested that he talk with Betty to schedule something with him. To this day, Mrs. Childs can reflect and recall the exact suit Dad wore. A meeting between the two of them was arranged and there was an immediate connection. My dad felt like he had just met his spiritual father. They spent time talking and that conversation led to an invitation to come to Benin City, Nigeria for two weeks of mission work. Prior to my Dad coming to Benin City, Papa first came to visit us in Delaware. 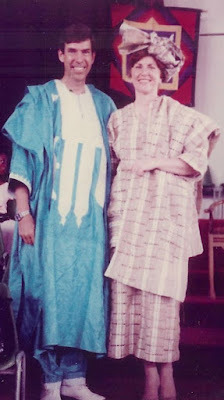 My dad had been to Nigeria before, but was elated with the opportunity to connect further with this great man and to become more familiar with his ministry. 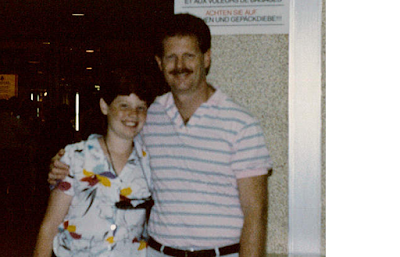 When Dad came back to Delaware, he told us about this meeting that had changed his life. 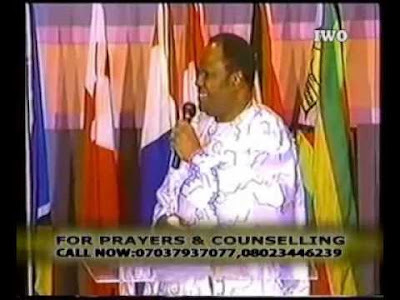 Shortly after, Bishop Benson Idahosa came to minister in our church in what would be a life changing experience for our congregation and we immediately started arranging for a trip to Nigeria. I had been to the eastern part of Nigeria, Enugu, two years prior to this when I was 11 years old. We visited with a wonderful man and his family, the late Rev. Victor Onuigbo. Upon departure, I cried and cried, telling my parents that "Nigeria is my home! I want to live there forever." Because of my deep love for Nigeria, my Father didn't have a second thought about bringing me on our inaugural trip to see the Idahosas. He did however tell me that he wouldn't pay my way and that if I wanted to go, I had to raise my own money for my ticket. (This was our standard family policy on anything missions related. If I wanted to do it, I had to believe God myself for the finance.) I started doing small jobs to raise the funds and I wrote letters to my teachers and family friends, soliciting support. Eventually, God answered my prayers! I raised over $1,000 to go to Nigeria. We went with a small group of people from my father's church and were hosted in the warmest most hospitable way possible. Bishop Benson and Pastor Margaret Idahosa invited us to stay in their personal home! Seeing Papa in his long flowing ministry gowns (I later learned were called Agbadas) staying in their home (Faith Mansion) eating at their dining table and being treated like royalty was more than I expected. Papa gave us opportunities to preach in marketplaces, go out for street evangelism, and visit the Bible School and so much more. During that trip, I got to meet Benson Idahosa's very tall and beautiful daughters, Ruth, Daisy and young Freda. Although we were age mates, I remember looking up to them like they were princesses and admired them so much. They were hard working in their parents’ house, hosting and attending to guests. I wanted so badly to be their friend. I had the opportunity to stay in their room with them one evening, and that's when my life changed. Across the hall from their room was their older brother Feb's room. I had heard about him but had not met him until that day. 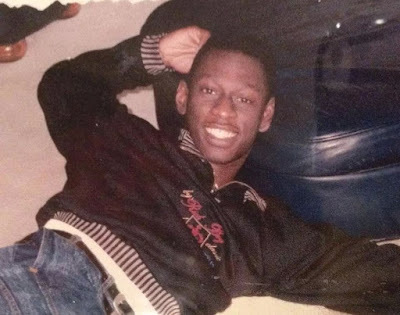 He was a tall, very skinny, dark skinned 14 year old with big ears. I saw him and immediately felt butterflies in my tummy! 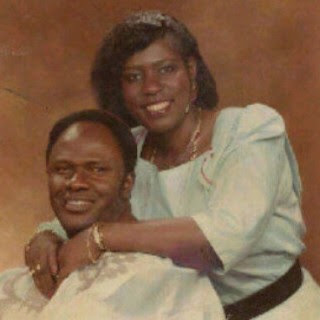 I was having a crush on Benson Idahosa's son! How embarrassing! Even though I was supposed to be on a missions trip focusing on the work of God; after we met, he was all I could think of! I turned five shades of pink every time he would walk by, blushing like the school girl that I was. He took the same liking to me and that's how it all started. It was love at first sight! We stole time away from the missions work to talk to each other and realised that this was a friendship we would want to keep for a long time. (Lots of other more endearing, romantic, child-like crush things happened during these encounters that I will save for another write up). Feb and I exchanged addresses and determined that we would be lifetime friends. This was before the time of Internet, facebook and twitter. Returning back to America was hard. 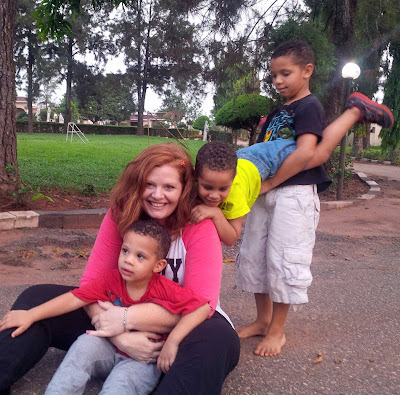 Once again, I cried my eyes out and vowed to the world that Nigeria would be my forever home. Papa Idahosa and my father continued a very fruitful and meaningful commitment to one another. Papa would frequently make unforgettable visits to our church in Delaware, Victory Christian Fellowship and he would minister. He helped my Father establish his Bible School, GWWM School of Biblical Studies and Ministerial Training, and build our church to be the largest congregation in Delaware at the time. He helped expose my father to global missions and evangelism in a way that expanded his vision and strengthened his calling. Because of the mentoring relationship he had with my Dad, during most visits Papa would stay in our home. I can recall countless times that I was asked to relocate from my bedroom to allow Papa to stay there. Looking back, I feel so honoured to have had the rare privilege of being so close. During those visits and our subsequent visits to Nigeria the bond between our families grew deeper and I began to see Papa as a second father to me. I loved him dearly and would often ask him for advice which he so willingly would give. He treated me like one of his daughters, always encouraging me, blessing me financially and even on some occasions, correcting and scolding me in love. During Papa's visits he would often ask me to help him call Feb on the phone. (Feb at the time was living in Tulsa, Oklahoma at Victory Christian Centre and Oral Roberts University for his education.) Papa would ask me to call Feb, just to see if we were still in communication with each other. Seeing me dial Feb's number from memory without checking my address book, Papa would make soft comments such as..."Eh...so, you and my son... You know his number? Okay oh." He had a subtle way of letting us know that he was aware that we were close friends. One Christmas, he sent his whole family to Delaware to spend the holiday with us. It was a Christmas I will never forget. Feb and I developed a strong friendship over the years. From the age of 13 when we met, there was never a year that we didn't see one another and it was rare for even one month to pass without some form of connection. I visited the Idahosa ministry in Nigeria with my Father and other mission teams many times during my teens and early twenties. We went for crusades from the North to the South, and East to the West. Papa took my Dad and I everywhere, including other African countries! 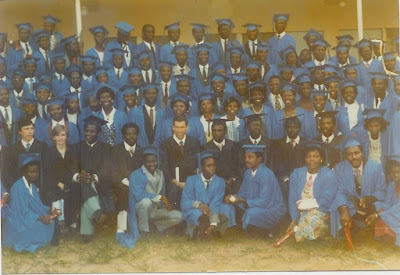 My Dad planted many video Bible Schools in Africa at that time and our ministry assisted with numerous building projects. A God-ordained bond between the families and ministries was formed. Fast forward to March 12, 1998... The day we felt like our world had crashed. We received the shocking news that our beloved Father in the Lord, Archbishop Benson Idahosa had transitioned to Glory. I remember weeping so deeply that period that I thought my eyes would never dry. We loved Papa so very much and still do, remembering the great love we had and the impact he made on our lives and ministry. To the glory of God, our story with the Idahosas did not end there. I will share the romance story in a future blog piece, but, to cut a long, very romantic, beautiful story short, God answered my heart's desire. I now live fully in Nigeria. I became Feb's wife and am the proud mother of four sons, all named Benson Idahosa. 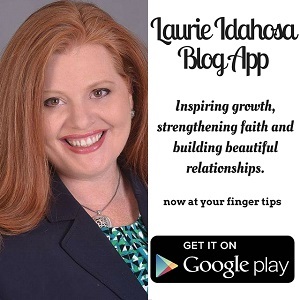 This is my story of how I met the Idahosas and what Papa meant to me. Let's remember Papa and share our stories with others. Let's keep the flame of his legacy burning bright in our hearts. Happy Founder's Week! Note: Special thanks to my Mom, Rev. Mrs. Faye Whetstone and our dear missionary friend, Pastor Mrs. Jerry Childs for reviewing and enhancing this article before posting, in order to ensure historical accuracy. Great write up Rev. Laurie. Papa was a man of courage, faith, love and vision. Wow! Having an icon like Wole Oni comment on my blog encourages me to do so much more. Thank you so very much, sir. God bless you! Great stuff right here! The Archbishop was such a kind man, it shows from all the kingdom gaints he gave platforms and privileges to attain the heights God planned for them. We love you papa and your memory lives in our hearts forever. Laurie, thanks for sharing this.....Its beautiful. I feel so more blessed being able to serve along side my husband Wayne, and daughter Kimberly when you all celebrated your third son Christianing. My daughter made the cup cakes 500. Wayne and I with Kim, catered the meal. I want for the next blog.......sounds like a movie or play .....hmmm....romantic play at Victory? Lol. P.S. thanks for walking us through, it reminds me that our steps are forever ordered by God. Though we take the first step not knowing where the next one would lead, God does and He's designed a beautiful future that our minds can never fully comprehend. I met Joy in 2008. She had an awesome miracle from when Papa was doing house to house ministry. Afterwards I bought a book about the life of papa. It was so full of faith, it could only have been God. I actually lent the book from a pastor friend cos I was curious. Very beautiful and inspirational :) What a blessing..
wooooooo, what a testimony....i want the romamce part of the story. how did God bring the two of you together? wow! An amazing story. I didnt know you grew up closely with the Idahosas. I was checking the biograghy of Bishop Collete Vaughh and I saw she was ordained by Papa and I suddenly thought of you and here am I reading your amazing story.